Automatic set up for Windows 7. Manual settings for Windows 7. 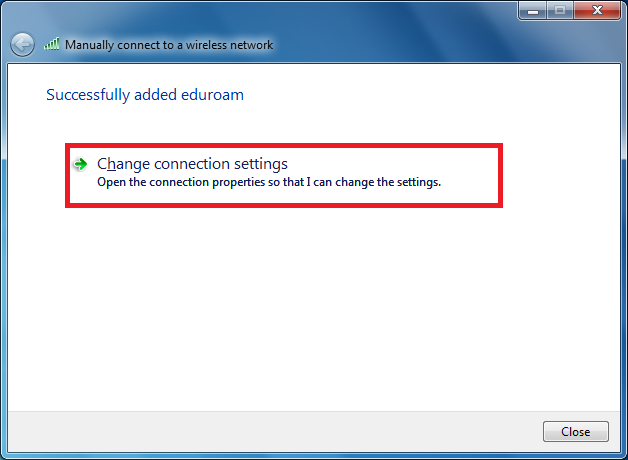 If this is the first time you are adding eduroam, you can skip step 3. 1. 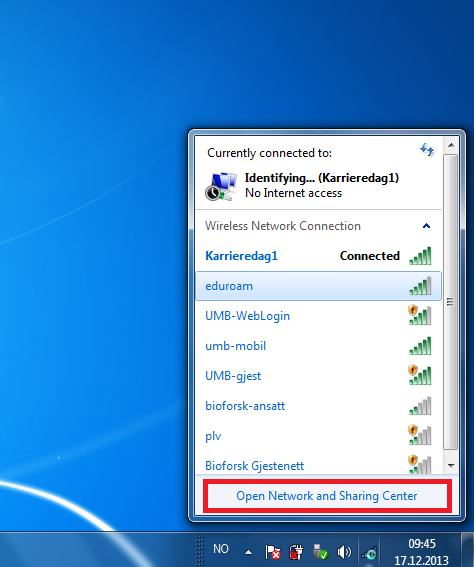 Click on the wifi icon on the desktop’s lower right corner and “Open Network And Sharing Center”. 2. 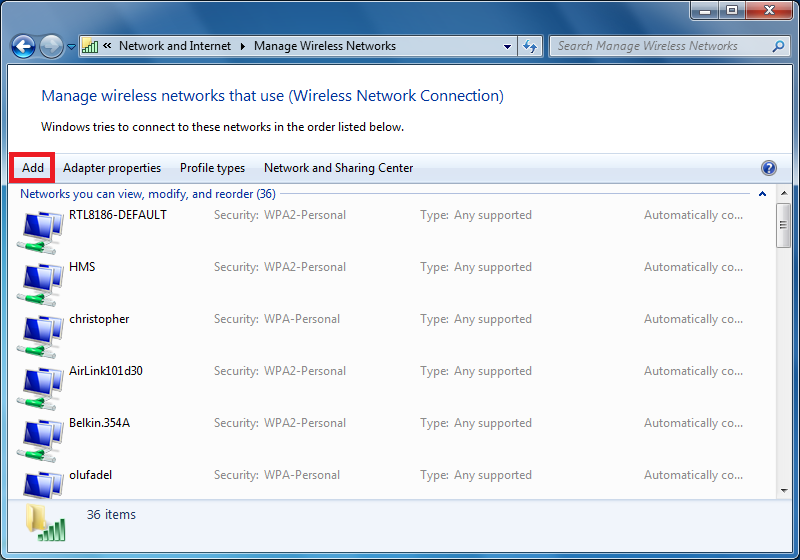 Click “Manage wireless networks”. 3. 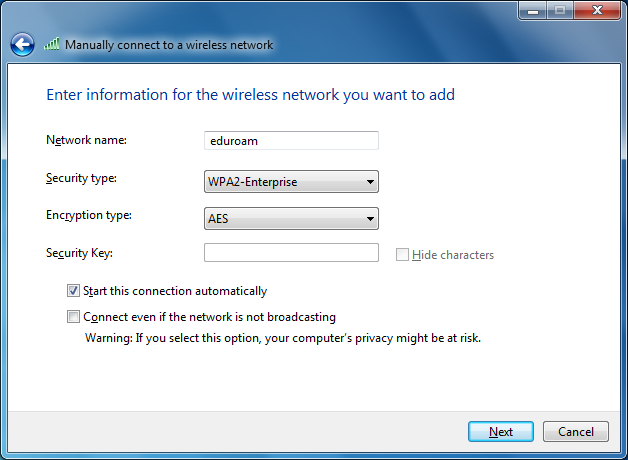 Locate eduroam on the list. 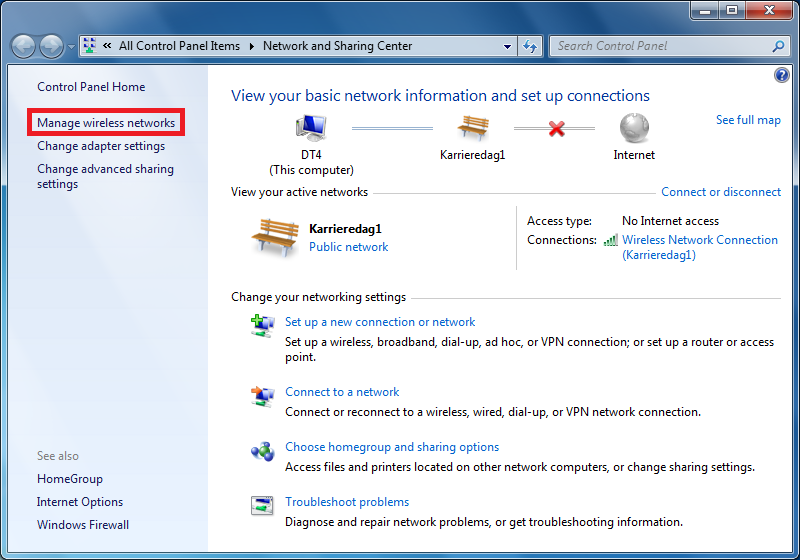 Right-click on this and choose “Remove network”. 5. 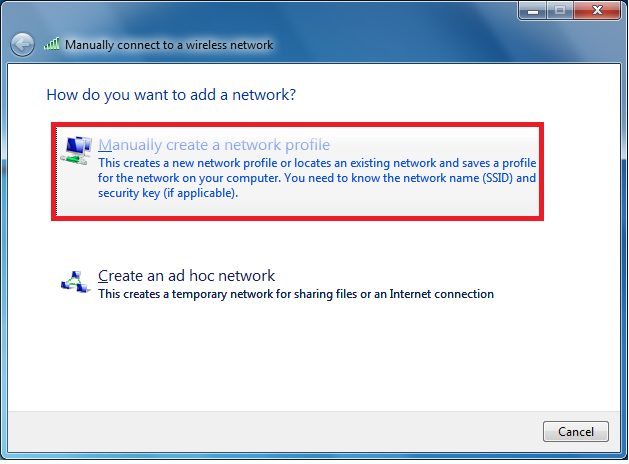 Choose “Manually create a network profile”. 6. 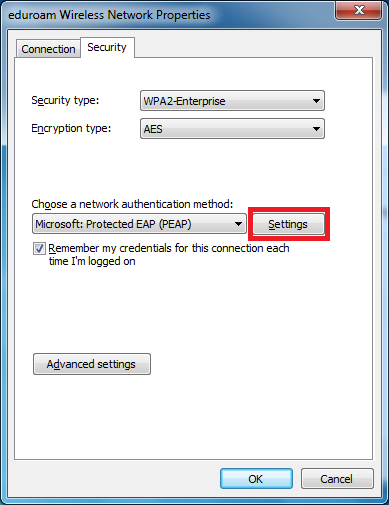 Type in eduroam for network name and set “security type” and “encryption type” as shown below. Click Next. 7. Go to “Change connection settings”. 8. Go to the security tab and “settings”. 8. 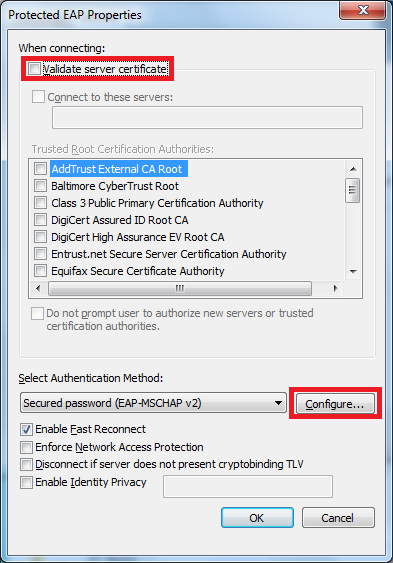 Uncheck “Validate server certificate”. Go to “Configure”. 9. 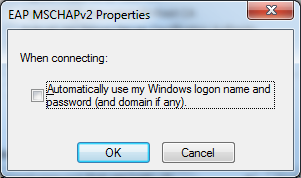 Uncheck the option “Automatically use my Windows logon name and password” and click OK.
10. 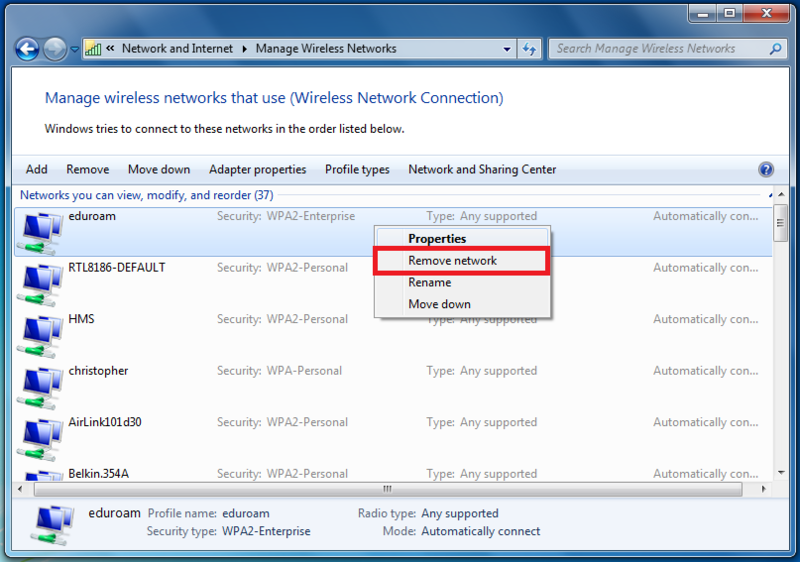 Locate eduroam on the list with wireless connections and connect. You will then be asked for network authentication. 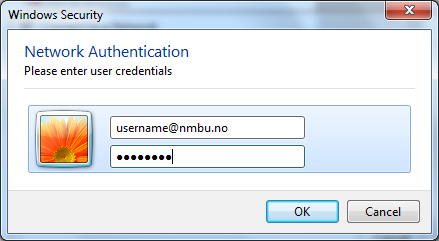 Type in username@nmbu.no and your NMBU password. Click OK.